We approached Milspec two years ago to see if they could re-engineer our Changemaster safe to make it structurally safer and consistent in quality. ‘We sell this product into every Coles store in Australia and it needs to have minimal down time. Within a short time Milspec took our design and perfected it, improving the structural and electro mechanical integrity of the product. Furthermore, Milspec were able to source and provide components much more reliably and quicker than us. 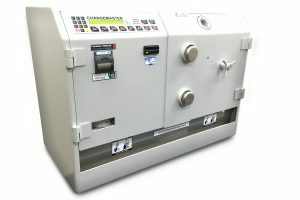 We can be sure that each safe that arrives has been thoroughly tested and is built to a level of excellence, meaning we can pass the safe straight to our customer.